Galactic Civilizations first came out in 1993. Babylon 5, which allowed access to hyperspace through gates, came out in 1994. I'm sure there are new ideas for GalCiv out there, especially when they are specific to a particular version of the game, but there are a cubic parsec of ideas (like stargates) that are approaching 30 years old. I wasn't throwing shade on you, you were standing in it. You can still colony rush to your heart's content. 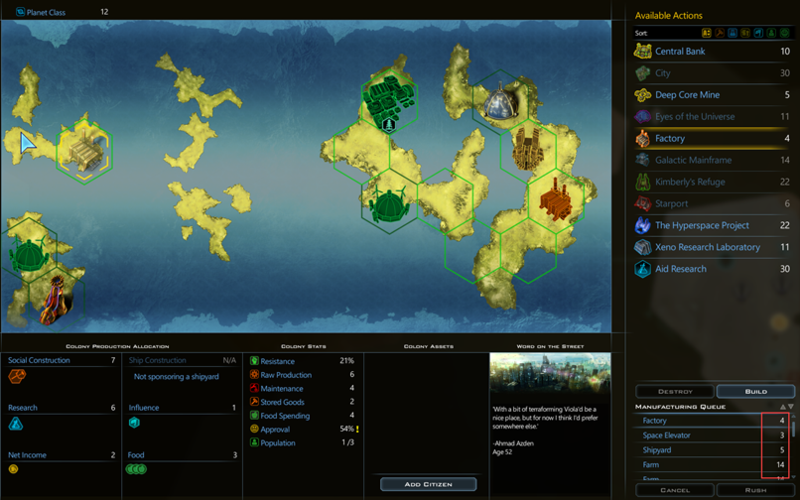 The difference, however, is that those new colonies won't grow in population at 0.1 but instead at 0.01 by default so they don't contribute much to your empire at first. By going up this path, you get your population growth back but you are choosing this instead of say, going up weapons or improving your engineering or what have you. It's a new choice. 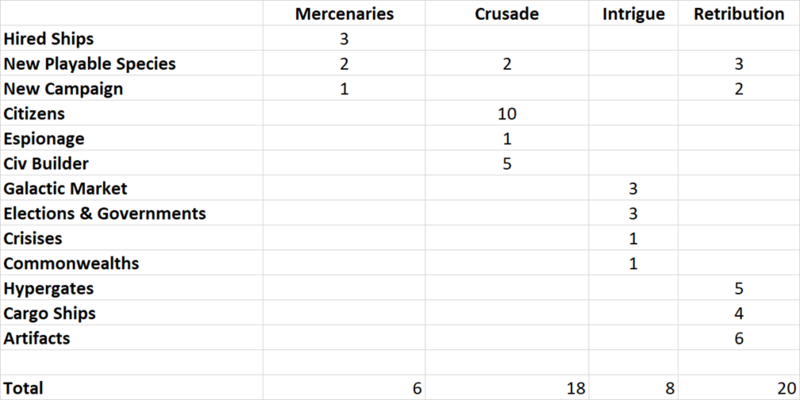 The suggestion of simply nerfing colonies for 25 turns or what have you is similar to what we are discussing here. Except I think people will intuitive understand that new colonies are going to be rougher than the homeworld and thus being able to overcome this helps. In addition, there are several new improvements for colonies such as Supply Depots. You can also choose to build up your world with Supply ships which might actually be my favorite new feature. 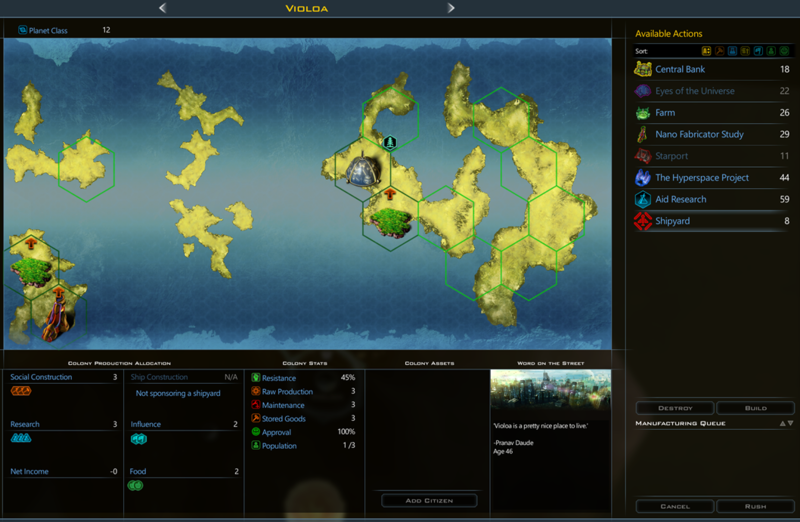 I politely disagree with the idea that the strategy is to ignore worlds and not colonize them. Again, I think the issue is pacing. And every civ will be on the same footing fighting the same constraints--so it is still a rush to get to those remaining uncolonized worlds. It just requires deeper and longer-term planning, careful prioritization, and some luck. Okay, let's talk pacing. In a zero-sum game the only thing we can really adjust is the speed with which there's a winner. So I'm cool with talking about this in terms of pacing. 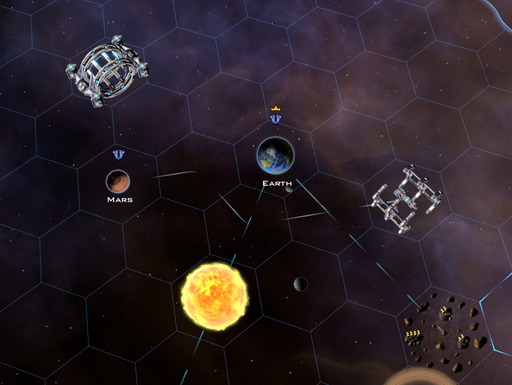 In a zero-sum game such as this, it makes logical sense to try and accumulate the limit resources (planets) as quickly as possible. The developers have already presented us with hurdles that slow it down; extreme planets (require tech) and planets that require Atmospheric Cleansing (require more research tech). So now we're being introduced with more hurdles that are designed to slow us down further (more distance between worlds, way slower growth rate). But let's get back to something you just posted: "every civ will be on the same footing fighting the same constraints"
I think most of us have played this game long enough to know... that's not even remotely true. Especially once you start increasing the AI difficulty level. So forgive me, the smallest bit, if I don't buy that argument. But let's set that aside. Let's imagine, for a moment, that everyone really is on some kind of equal footing. Then I would return to something I mentioned in Discord the other day: I don't think the "colony rush" is broken to begin with. This is part of my basic argument: it wasn't broken, it didn't need fixing. And when people try and "fix" things that aren't broken, that's when bad designs emerge. The colony rush was, to put it as plainly and simply as I can put it: fun. It was somewhat fast-paced (compared to the end-game, when you're managing tons of colonies and every turn takes 20+ minutes), and it was this unique mixture of exploration, colonization, and resource-acquisition. It is arguably the one phase of the game when the largest number of interesting things are happening simultaneously. And it was just fun. I don't know about anyone else, but I play games because they're fun. And the minute they stop being fun, I am going to move on to something else that is fun. So if a game developer is actively moving away from a design that is fun, to something that is less fun, I have to wonder why they are making that move, because it makes no logical sense. And basically, I'm going to move on. There are way too many great games out there, and far too many games in my own backlog, for me to devote time to a game that wants to make itself less fun. But I digress; let's talk pacing. Distance adds time. Time adjusts the pacing. The devs have decided they'd rather adjust it with population growth. Here's the end result though: when you slow down the population growth the way they have, and shrink the map sizes, you end up with a much, much smaller and slower galaxy to play in. Okay, so you "fixed" the not-broken pacing issue. You now have a slower game. And a simpler game. Fewer habitable planets. A less interesting galaxy. Instead of needing to conquer 20 or 30 or even 50 planets to defeat an enemy, you need to conquer... 2. Wow. That was better? 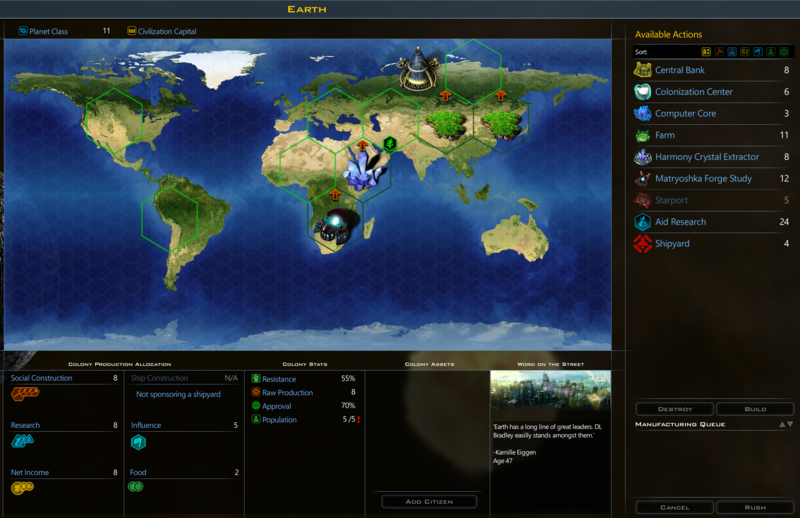 GC3 is a turn-based 4X. You know what's awesome about a turn-based 4X compared to, say, a real-time-with-pause 4x? It's far easier to NOT get overwhelmed by the sheer size of an empire with a turn-based 4X. Because it stops for you. It alerts you to everything that needs your action and input every turn. It's the stage upon which to play a grand, huge, glorious space 4X game without it being daunting and overwhelming. 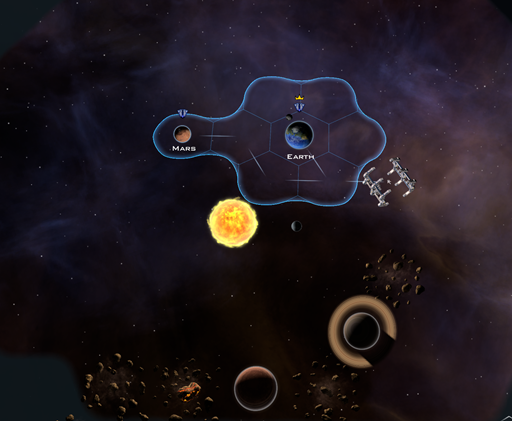 And Stardock has basically said, "Nah, we're good with a galaxy that has a handful of planets and a super-slow growth rate. We want this to be simple and slow." And I just find that really disappointing. Yet, the whole point in a good-enough-4x-challenge basicly stands on very personal perceptions of gameplay rules within a relatively deterministic model. We are encouraged to discover complex (or simplistic) tricks to master various Winning ways or, to manipulate certain conditions towards our own satisfactory formula which also relies on special/optimal parameters. Choosing between immediate success or some "grinder" processing of whatever suits our mindset while a static set of events requires our attention or volunteered neglect. Thus.. the entire magic stands on conscious principles that we opt to set as priorities or not. 4X has a knack for open-minded paths far beyond the Win/Lose goals under which we bring a tangent of opinions & as a result, reactions.. wise & flawed. FUN == what we decide to accomplish given a sealed stack of preferable aims. But there really isn't any obstacles to variable access at which intellect should gain proper focus -- freedom to play as god & demon is a trajectory rather than one solution that solves all hopes or wishes. WE play inside the proverbial SandBox -- remember? To me.. the fun is into the HOW i can (somewhat!) control what & when elements or events happen. Fast or slow, thick or dry.. gimme everything (and anything) to observe and react according to my own free will ... or mood swings. I didn't say equal footing. I said "same footing fighting the same constraints." In the immediate context of my argument, I wasn't talking about everything being equal, I was talking about how these constraints are applied across the board--not just to the human player. So in terms of game play, I don't see a change like this as nerfing the colony rush, just extending it on into the mid game. That's what I mean by pacing. I understand your position and respect your opinion, but I disagree. I don't know if "broken" is right, but I find the colonization process as it is somewhat mindless. Get everything as quick as possible as close as possible and if you play things right, you'll come out with the most colonies--or enough to win. Right now, I like to play with extreme planets set to abundant and habitable set to occasional. I do this because I want colonization to be more drawn out. That's often (but not always) how I play. So, I'm predisposed to like a feature/change that draws the colony rush out and provides new, more meaningful choices in regard to colonization. I guess I see this as not "fixing" something that is "broken" so much as deepening a part of the game that is currently somewhat shallow. I 100% agree. I'll reserve judgment on whether these changes are fun for when I get my hands on the expansion. Bigger map requires more performance... so "a LOT bigger" means a lot more performance... this is not necessarily a broadly applicable solution. 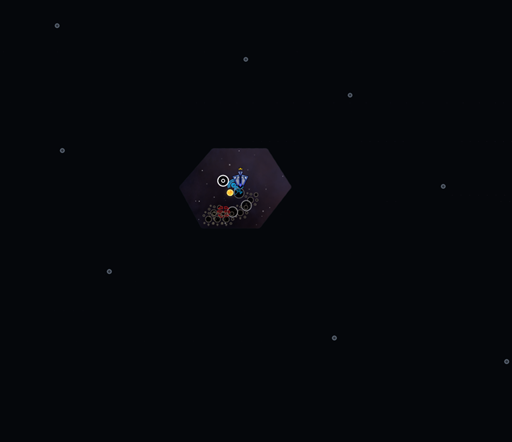 That said, I play with stars set to rare for this reason. Again, I think so much of this discussion falls into the category of preference that it is hard to say my argument is better or worse than yours. What fun we get out of the game is largely subjective. I hope the result of any changes is broadly fun and moddable for those who don't find it to be so. As Frogboy has mentioned, this isn't a fixed scenario where growth is massively capped. It is a starting point that can be adjusted via tech. Also, I can't comment on whether the game is slower since I haven't played it. 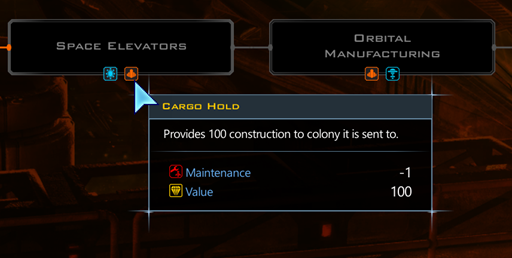 From what has been described, additional options (like supply ships) will change the dynamic--change how we invest our resources--and thus instead of seeing it as slow, I envision something that offers more paths/choices that will have an impact on my ultimate success or failure. Again, without having played the expansion, I can't know whether this is what will happen--maybe it will be a step backward. I hope not. I don't know how it will play out, but I suspect it isn't going to be quite as gloomy (or quite as spectacular) as anyone expects. I'm guessing it will be like many of the former changes to any number of features--at the end of the day, the changes just require me to change how I play. It seems like with every update there are some that think the proverbial world is coming to an end. I appreciate that your statements lack that kind of hyperbole. 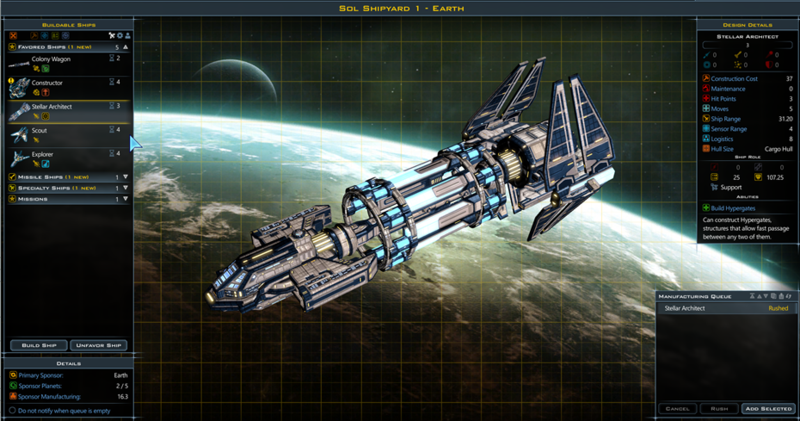 And I hope Stardock doesn't disappoint, as you seem to think they will. That said, I do suspect the game will remain fun and big and interesting and all the things that have drawn so many to spend so many hours on this game. And if they manage to royally screw the game up... well, I suspect they'll recognize that and make it right. Only time will tell--and I hope not too much more time! FUN == what we decide to accomplish given a sealed stack of preferable aims. I agree. I think so much of the concern surrounding these changes boils down to how one prefers to play. I don't know if there is an objective "correct" change other than what increases enjoyment for the largest number of people. This is a game, after all, and when I finish playing, real life hasn't changed much except I'm a few hours older with nothing more to show for myself--except maybe a sunnier disposition. Retribution is in Beta testing. Oh, okay. When you said "we're seeing" in the beta, it made me wonder whether you had actually seen/played a beta version of the game. Yes, I have. I'm in the beta. Like I said earlier, you can still colony rush. The difference now, however, is that colonies don't instantly become useful like they did before. You have to research techs to build them up and actually invest in them from the home world. As a result, what planets you pick matters more. If I know of 10 planets, I might pick one that is further away if it has an artifact or something else special on it rather than whatever is the closest in order to quickly build up. In RTS games, there is RUSH, BOOM, and TURTLE. The issue I have with the colony rush isn't that it exists, but that it is, by far, the most powerful strategy regardless of the map, the players, or the settings. This is something that Retribution addresses, imo, pretty well. 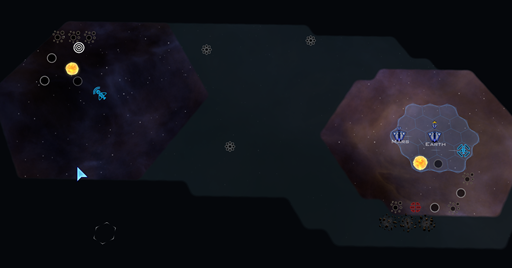 Would you like to comment about map size, spacing, and planet count? Map sizes are getting a bit bigger, especially smaller maps. Not sure what more to say on spacing. Stars are further apart. No change on planet count. Stars tend to have more planets now. Really like what I am seeing so far. One question about the population growth changes. Does this mean there are changes to the costs for Yor to manufacture population frogboy? Wish I could help with the beta. Unfortunately I'm outside the USA, thousands of miles away from my laptop. How does one get into the Beta? Who's palm has to be crossed with BCs, the shattered bodies of broken Drengin men and recordings of the lamentations of their women (which are not the most melodious sounds in the universe, I assure you!)? Retribution new map size on Ludicrous. Man, I don't want to be disrespectful here, but this simply isn't true. With the serious nerf to growth rate, there is no colony rush. 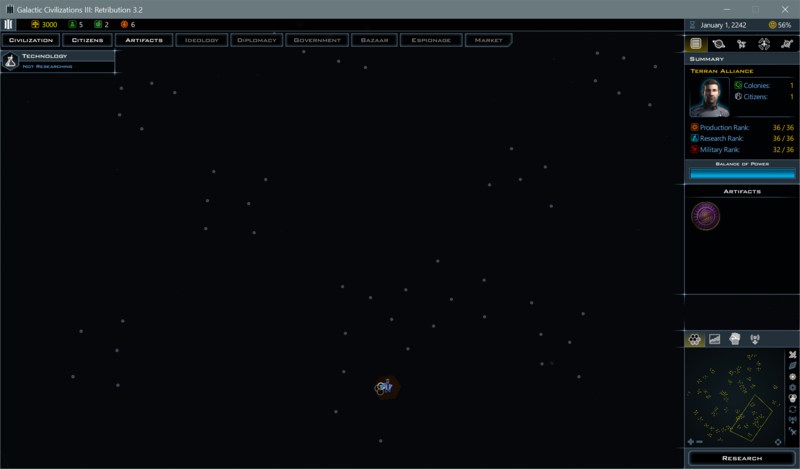 You can colonize 5 planets, max, before you're tapped out of population. And then you're waiting for a LONG time before you have enough people to push another ship out. I, personally, don't care about how fast a new colony grows. If your goal is to simply slow down how effective new planets are to an empire, by all means - slow down the production, the improvement building, etc. 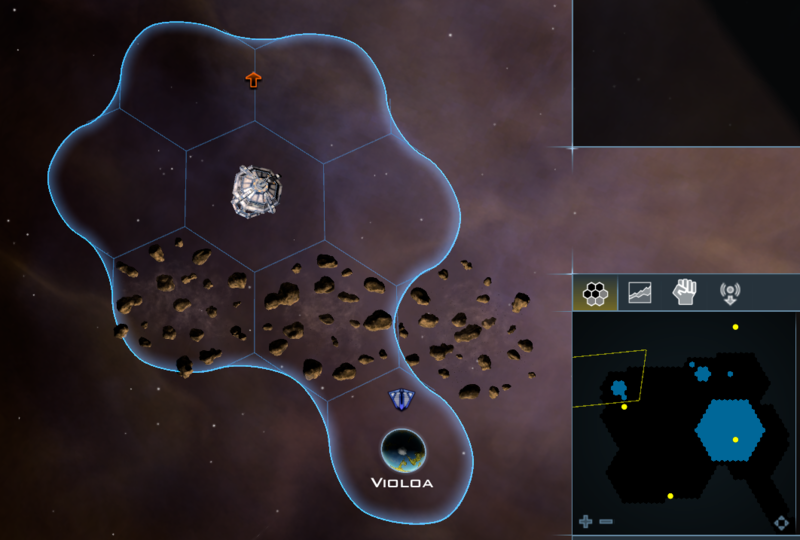 But because population growth rate is now nerfed across-the-board, there is no way to grab all the available planets on the larger maps (which really don't get very big until "Excessive"). Right now, the only thing I can hope for is that a modder fixes the homeworld with some kind of edit. If you want to keep new world growth rates slow, sure, that even makes sense to a degree. 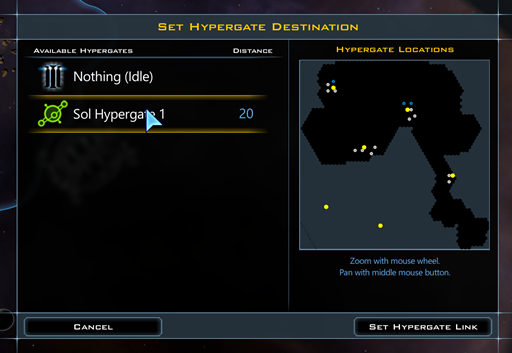 But nerfing the homeworld to achieve this goal cripples the ability to grab planets in range. That logic already applied though. Precursor worlds are King. And anyone with that DLC who isn't prioritizing Precursor worlds is not playing smart. And rare resources like Armor Spice, Epimethius Pollen (and food-rich worlds for Carbon-based lifeforms) already caused this to happen. Give me a choice between a Class 8 with Armor Spice and a class 15 with something else, and I'm going for the Armor Spice so I can use an Epiphany later on when I really need it. This nerf DOES NOT CHANGE THAT. In any way. 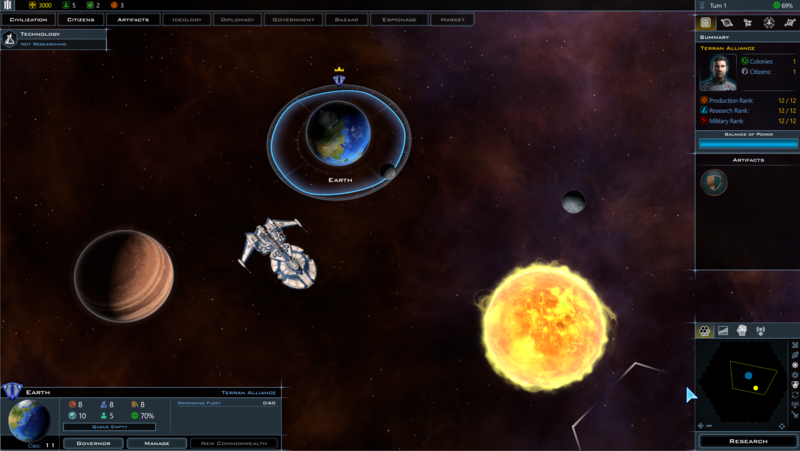 I'm playing the beta - I am STILL prioritizing planets exactly the same as before. Artifacts? Neat idea - but require a bunch more research to "recharge" them and I have yet to see one that would make a world more important than a Precursor, Armor Spice, Epimethius Pollen, or a boatload of Food. Good lord. It's not a strategy man. It's a fact of mathematics. It's a zero-sum game. And last I checked, this isn't an RTS. It's a turn-based 4X. And until now, the best one out there, hands down. You guys have solid gold on your pocket and you don't even realize what you have. 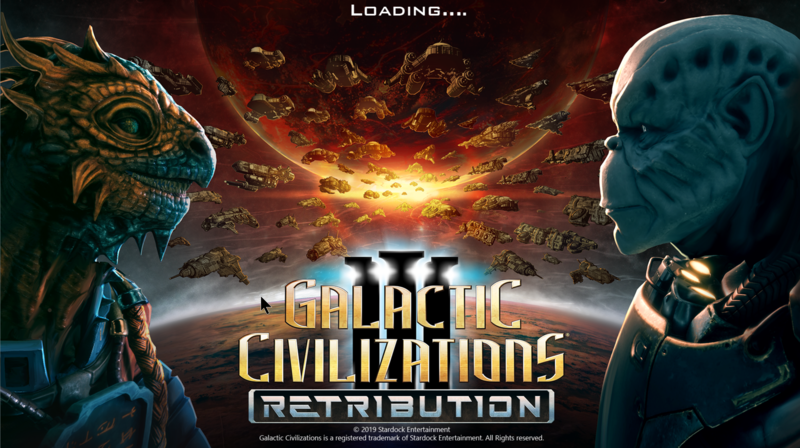 Retribution is going to make Galactic Civ 3 - which was the king-daddy of epic 4X games - play like Endless Space, or Civ 5, where you're going to be punished for Expansion. I just don't get it. You guys had the golden ticket. There are numerous ways around this already with more being added. 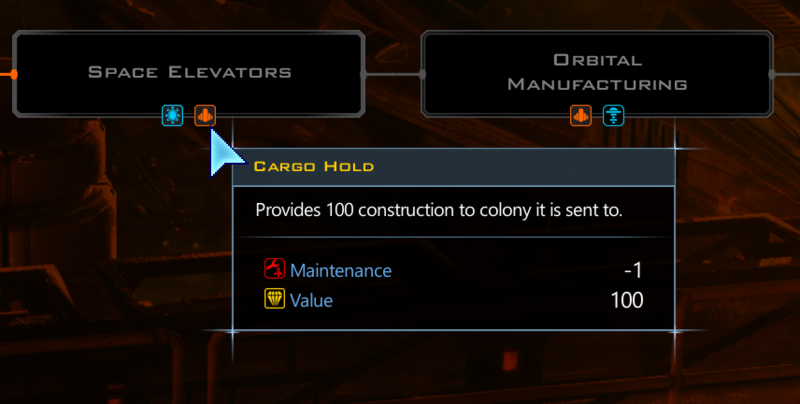 For example, if you play as good, you can get a fully loaded colony ship which gives you 5 instant population. There is also a Galactic Wonder (Tyron's Destiny) added that produces a one-time boom in population on the planet it is built on. So no, that's actually not the case. There are artifacts with infinite charge abilities. So yea, there are ones much more valuable. For example, there is an artifact that increases the planet quality of a world and you can get a lot of charges for that. Being able to slowly turn a class 12 planet into a class 20 planet over the course of the game on top of the normal planetary upgrades is pretty substantial. There are also artifacts that can summon a space monster that you can set loose anywhere on the map which can wreak havoc. 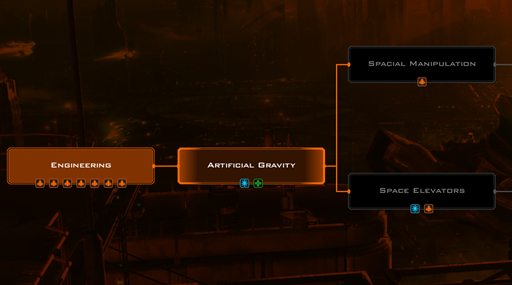 There are artifacts that instantly complete a research project and of course artifacts that can teleport enemy ships anywhere you want. Obviously, it is challenging to be able to make use of these powers frequently which is part of the strategy. You are making a lot of assessments for someone who isn't very familiar with what Retribution is about. The concept of interesting choices is from the original Civilization game. There shouldn't be a single way to win a game. That's bad design. The path to victory should be a combination of adapting to the environment (the map you are placed in) and how well you execute on the strategy to deal with that adaption. Virtually all your complaints seem to focus on misconceptions on the changes in Retribution. 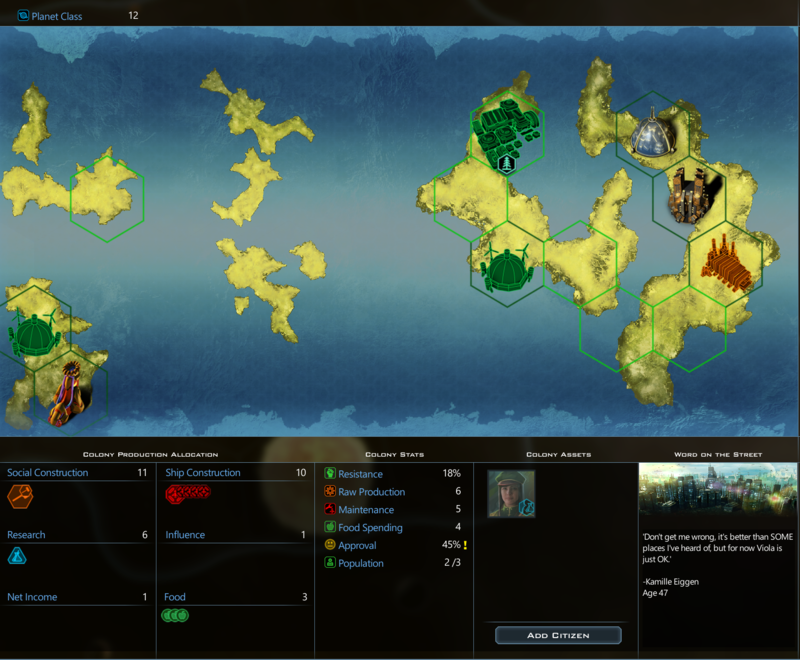 Example: You think colony rush is "nerfed" because natural population growth is reduced from 0.1 per turn to 0.01 without considering that there are ways to mitigate that (through ideology / wonders / techs). You complain about Tourism being nerfed even though Paxton's Emporium is available in Universal Translator, a tech literally available on turn 1. And Import/Export centers available in a tech available within the first 10 turns. In my favorite games, you can win without being the most powerful or having the best/most of whatever resource (in the current example, I'd say planets, resources, etc.). The element of surprise and being able to swiftly change the dynamic (even if at great cost) is, to me, a welcomed design decision. 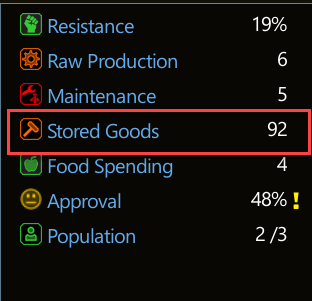 Adding artifacts in particular makes it sound like using limited resources carefully can pay off in big ways. I love the idea of using a precious, rare resource to thwart an opponent and then come back for a win--not necessarily through brute strength but by cunning. I tend to agree to some extent that right now, the game is largely decided by early colonization. This isn't always true. I've come back from the bottom by convincing everyone else to go to war, engaging heavily in diplomacy, and slowly building up a superior (if smaller) force. What makes me excited about Retribution is it sounds like the game is moving away from what you call "zero sum." If you get fewer but significantly better planets and can, as Frogboy indicated, use artifacts, new improvements, and techs to make a planet phenomenal... that to me makes it no longer "zero sum." And I'm willing to admit I may be wrong or making an incorrect assumption about what you mean by "zero sum." I also want to take the opportunity to acknowledge that you have me at a disadvantage--you have actual hands-on experience with the game, and I don't. So everything I say is qualified by that fact. 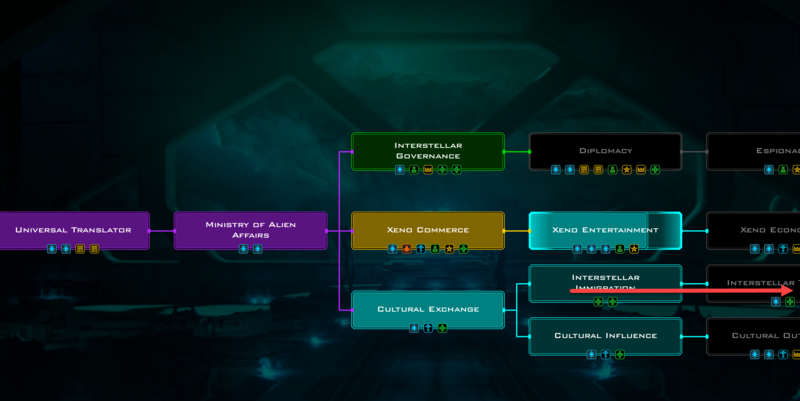 I'm responding only to what I've read and seen here as well as to the reputation that Stardock has built as a developer and around the game itself--and the progressively improved quality of GalCivIII with each update, DLC, and expansion.